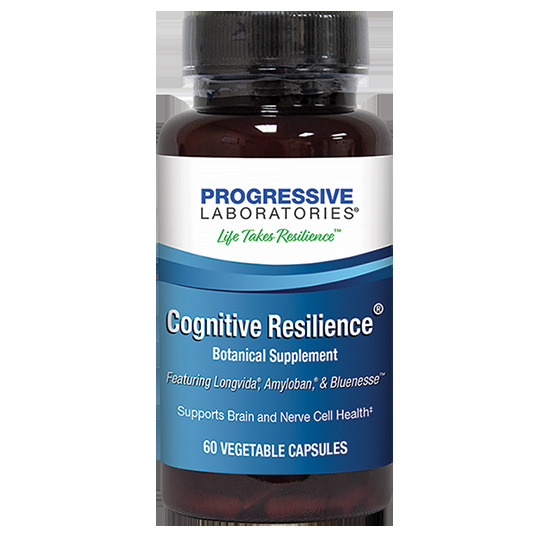 Cognitive Resilience® from Progressive Laboratories is a proprietary formula that is a unique blend of botanicals designed to support optimal cognitive performance and prevent neurodegeneration particularly around learning, memory, focus, concentration and attention. The ingredients in Cognitive Resilience® have been shown in clinical and pre-clinical studies to prevent the accumulation of toxic proteins in the brain. Take two vegetable capsules twice daily with food, or as directed by a health care professional.